MRM are a leading financial sector PR agency based in the heart of Covent Garden. We worked alongside them for years for Barclays Wealth Structured Products and during our time working together Andy and Richard asked us to look at their branding. We started off with one of our standard brand values workshops involving the whole team at MRM. A simple process of spending one afternoon analysing what everyone thinks of the company in an open forum situation, taking those thoughts and distilling them down into a core set of values. I won’t divulge MRM’s values, suffice to say they still live by them today, 4 years later. Our brief was to consider the joined-up nature of MRM’s working process; bringing together PR, digital, design and marketing under one team and working together for the ultimate success of the client – in other words the opposite to how many agencies compete for “land share” in a multi-agency situation. 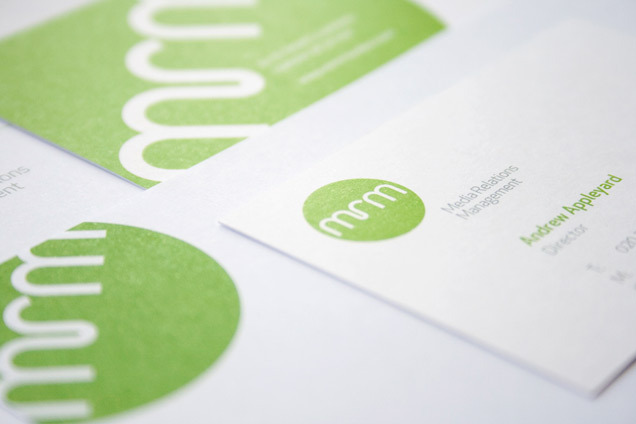 Our solution was a simple roundel logo with bespoke type and a typeface selection (Apex) that gives MRM a distinct individuality in their industry. MRM recently approached us and asked us to look at a specific sub-brand for their digital team. Work for this is currently ongoing, but here’s a peek at what we created for them. As usual, simple is often the best solution – if not the easiest to arrive at.